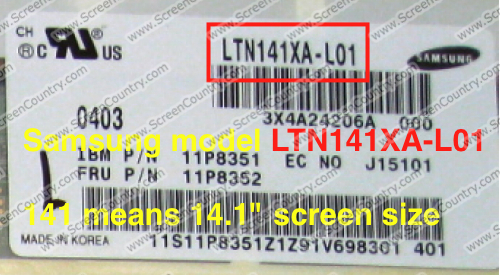 FAQ and Articles - How to find your laptop screen model number? 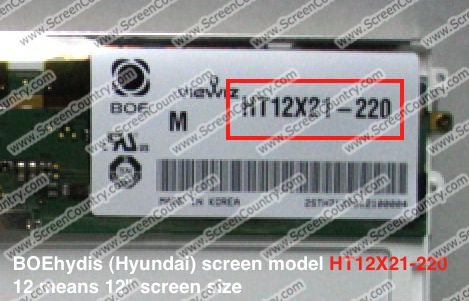 HomeFAQ and Articles	How to find your laptop screen model number? 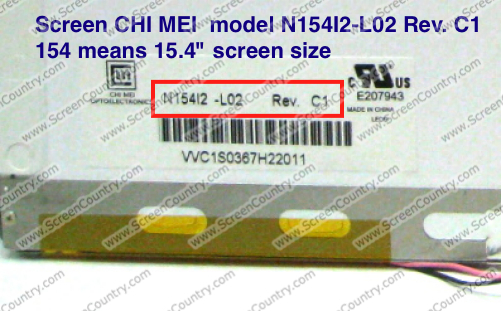 For Apple screens and laptops, please read this article. 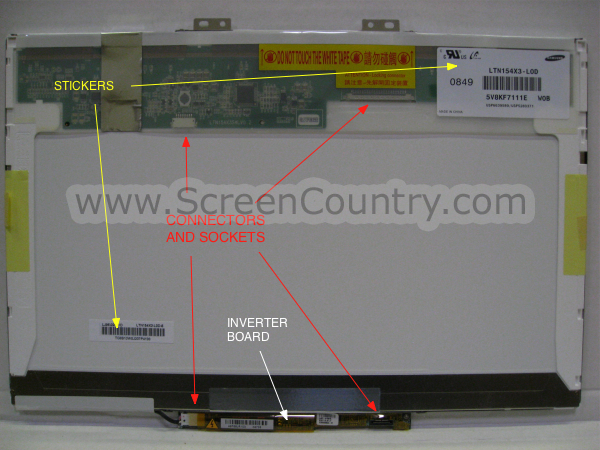 We strongly recommend you to see several videos with instructions for screen replacement. First get the screen out of the laptop, following the instructions. 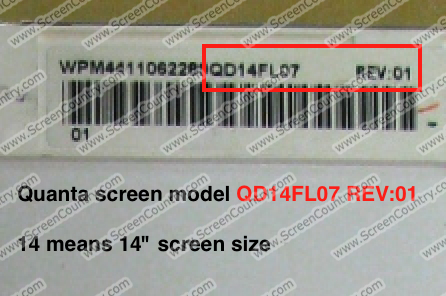 Screen model number is written on a sticker that is located on the back of the screen. 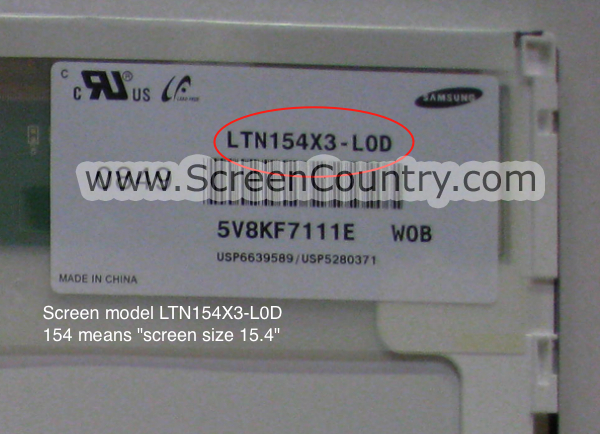 For example, if the manufacturer of the screen is Acer, the screen model starts with the letter L.
If you can not find model number of your screen or you are not sure what screen to choose, contact us, please, if possible, attach a photo of the back of the screen with your post (please make sure that the photo is of sufficient quality, so that we are able to read the numbers on the stickers). We will respond promptly and help you with choosing the right screen.